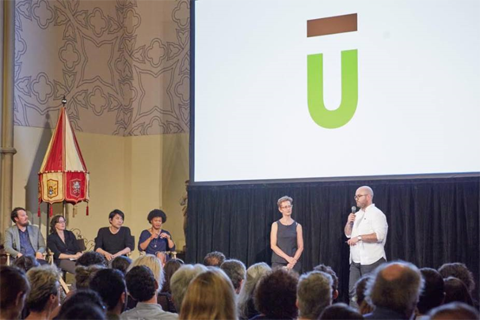 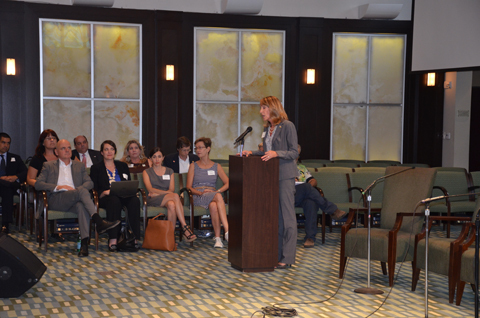 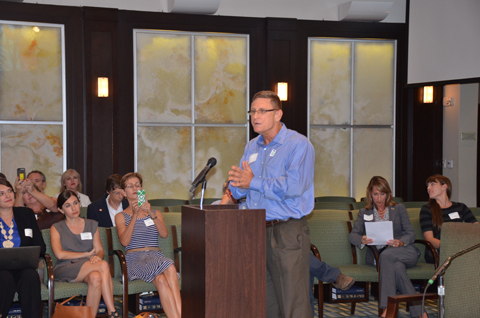 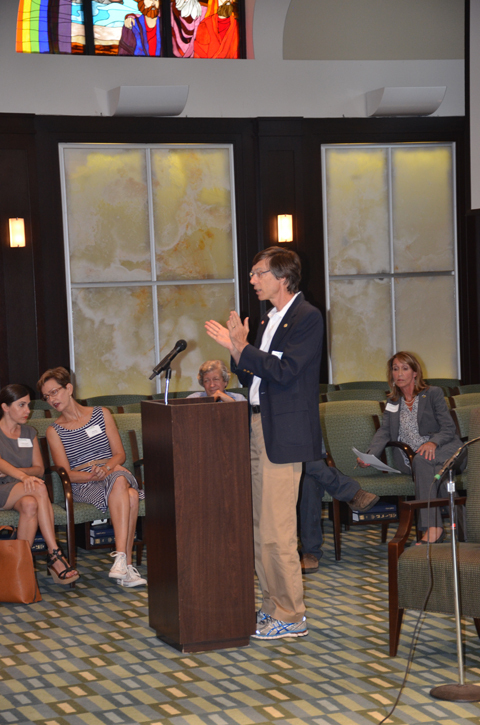 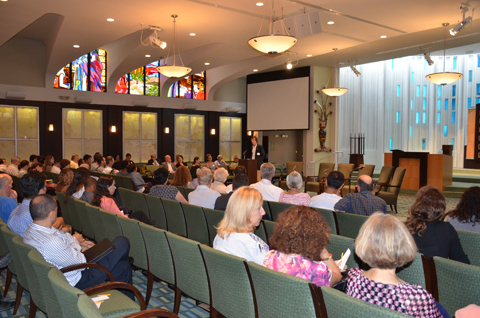 Since Fall 2014, organizers have been hosting public exhibits and presentations at locations in the community: an event at HISTORYMIAMI called “The Underline: Make It Yours” visitors provided suggestions and comments, the Coral Gables Museum hosted an educational program and events including “Bike 305 Connecting Communities” were all designed to get the word out in the community. 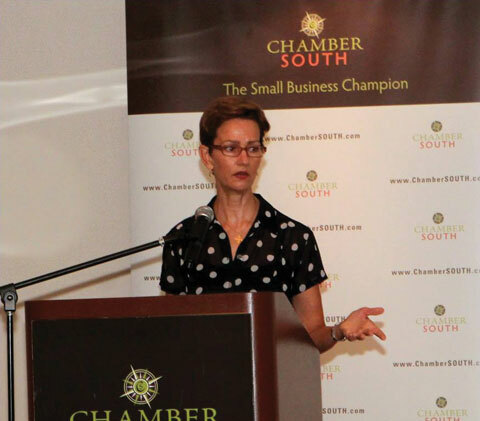 Meg Daly, Founder and President of The Friends of The Underline presents at a recent General Membership Breakfast Meeting of ChamberSOUTH, the first chamber to endorse The Underline project. 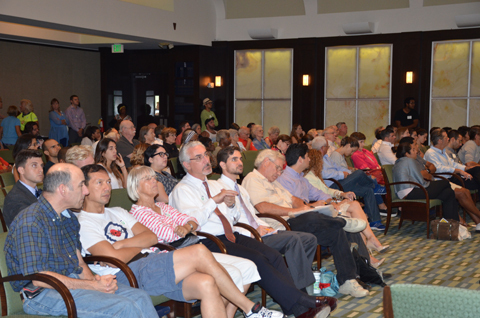 A series of public meetings were held in April, with follow-up public meeting and presentations in June. 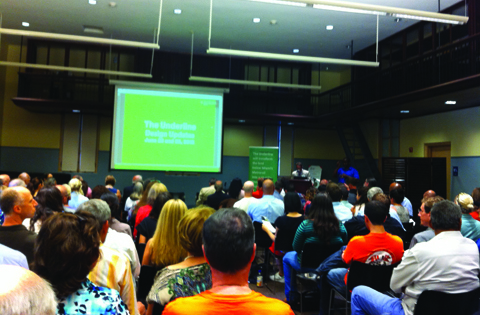 From March to May 15th, over 600 surveys were collected. 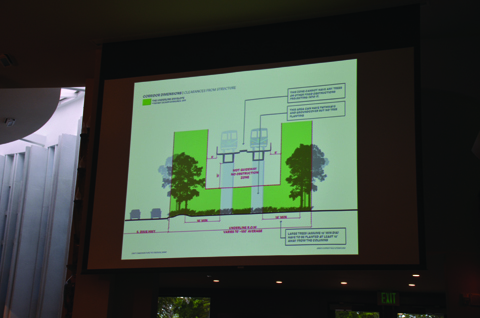 At recent public meetings on June 23 and 25, The Underline’s master plan design team, James Corner Field Operations (JCFO) shared early design vision and fielded comments from public meetings previously held in April. 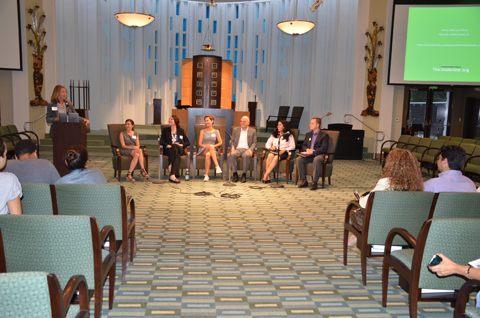 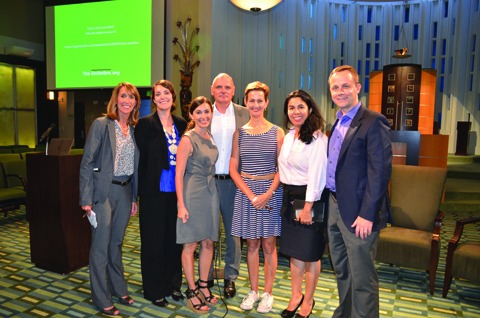 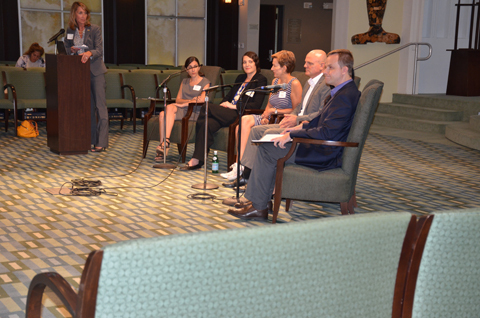 (L-R) Moderator Susan Greene Beacon Council; Presentors: Lisa Switkin & Isabel Castilla of James Corner Field Operations; James Corner;, Meg Daly; Maria Nardi, Miami Dade County Parks, Recreation and Open Spaces and Stewart Robertson, Kimley-Horn Associates.